There are some scary statistics out there for married couples... I don't even want to actual put them here as they seem to change all the time. But it's pretty safe to say that being a virtuous wife is not exactly a popular career option (can I even make that statement without people having opinions?). And as a result of so many marriages crumbling and ending it seems that there are numberless books out there telling women to be strong and independent and ready to stand on their own. 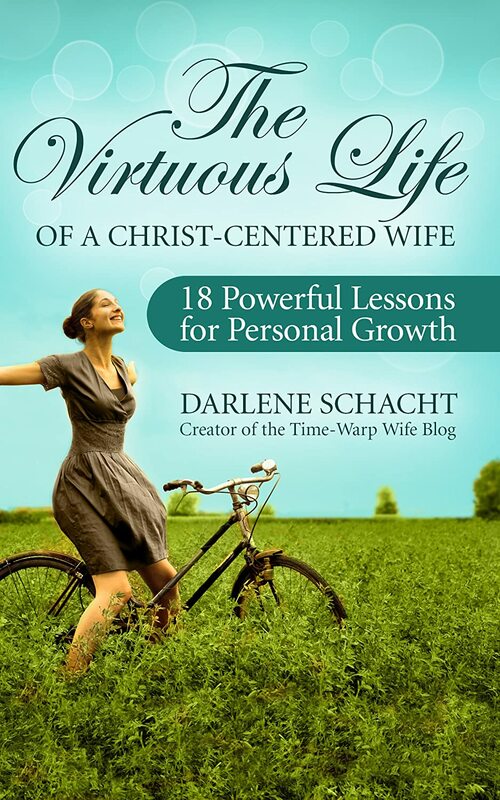 For those wives who are looking for a little encouragement to strive to be good women and virtuous wives Darlene Schacht has just put out a great book for you! 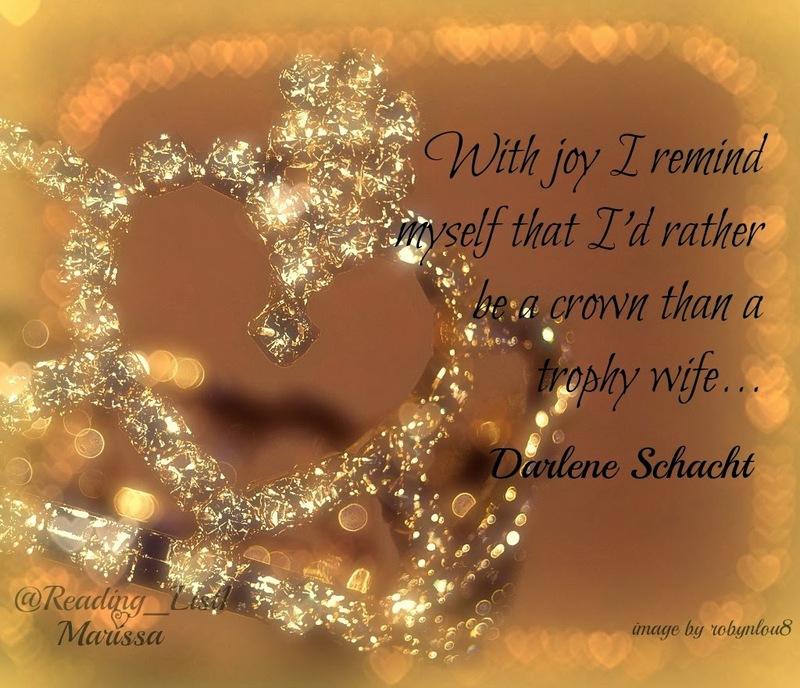 Schacht, the creator of the Time Warp-Wife blog, has released a wonderful little book to support women as they strive to live a life that will honor their husbands and families. The Virtuous Life of a Christ-Centered Wife is a wonderful addition to all Christian wives' bookshelves. The Virtuous Life of a Christ-Centered Wife is formated into 18 sections which allow you to study one virtue a week if you so desire. Of course you could do one virtue a day and be done in 18 days... or read the book straight through. I really enjoyed this book because I love reading Schacht's style of writing. She writes in a way that reveals her personal life as an explanation for her thoughts. As she shares her experiences and thoughts she weaves scripture right in to her thoughts, which help to bring true encouragement through her words. She is able to bring up touchy topics this way that some people are simply unable to discuss without hurting feelings and stepping on toes. I also really enjoyed the fact that each virtue ended with a guided SOAP study, which I had not seen in other studies. 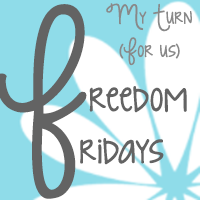 The freedom in SOAP studies allow for the simple exercise to impact the reader greatly. It is the perfect way to add substance to an already jam-packed book. As I got an early pdf release of the book, I'm hoping I also got a copy that wasn't edited to completion, as again I found myself distracted by typos and grammatical errors. As this is a personal issue I have with books, I know many people are not distracted by them, as errors come with the territory of writing, and trust me I understand that! Also most of the scriptures in the book are from the King James Version of the Bible, and for me personally, I have a hard time pulling real information from the KJV. Again I am guessing this is because of editing and copyright, and I shouldn't be so picky. But can I just say, you know it's a good book when my only complaints are minor editing and publishing issues and not actual material? Honestly, if you are a wife who is trying to find the encouragement to keep working daily on being the best wife, mom, woman you can be, this is a great book to pick up. Yes you can spend weeks in this little book, or read it through in no time depending on what you want to get out of it. But either way, as long as you read it, you will get something out of it! The best part of this particular book is that Schacht understands that to be a virtuous woman in today's society is not exactly what is popular. And yet it is what so many women see themselves becoming as we stare at ourselves in the mirror on our wedding day. She writes extremely down to earth and is brutally honest which allows the reader to truly digest her points and take the steps necessary to work towards being a virtuous woman. Yes, there is no hiding the fact that in order to become a virtuous woman, you must work at it! I really did enjoy this book, I think I would have enjoyed it more if I had the actual paperback in my hands and could write in the margins my thoughts. I would recommend this book for any married women - newly married, or married for decades. This is a great tool to bring real encouragement into your walk as a married woman and could easily be read over and over as the years pass. I am so honored that Darlene has agree to allow me to give away 3, yes THREE, copies of this marvelous book. 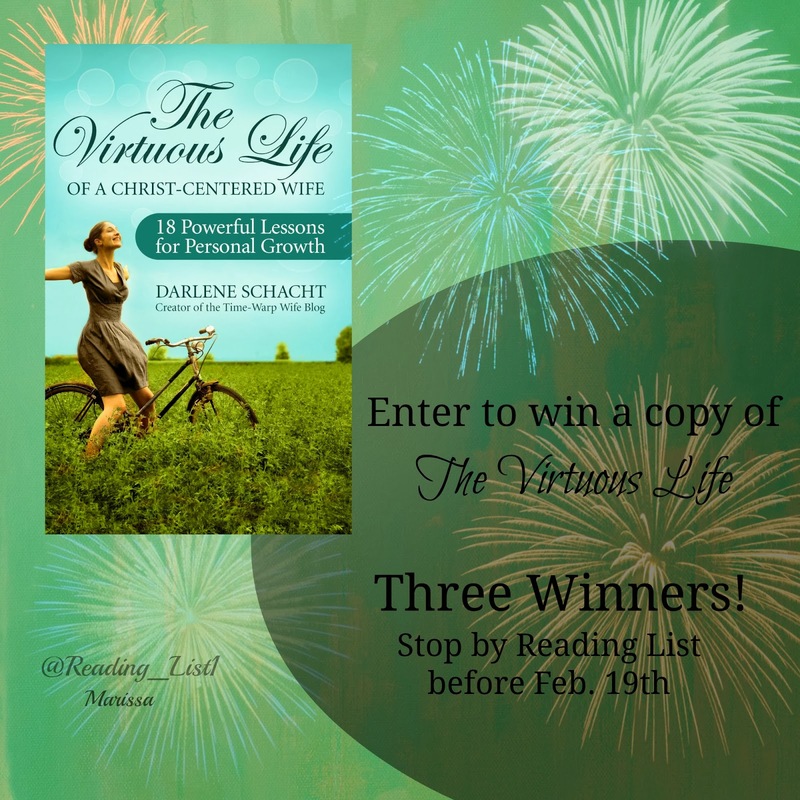 Honestly, even if you don't win this book (and you should try to win it!) consider adding this to your must have list! **I did receive a copy of this book by the author in exchange for an honest review, there was no other compensation given. All opinions are 100% my own.